This has been the best tree in my potted fruit collection. It is now a healthy bushy small tree covered with fruit. Last year it had about 15 manderines reached maturity. 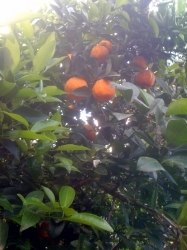 The tree was covered in flowers in winter and after the huge ripe ornage coloured fruit from the season before were picked (June). This tree gets the same treatment as my other citris but it is the best. It is in a 60cm terracotta pot. 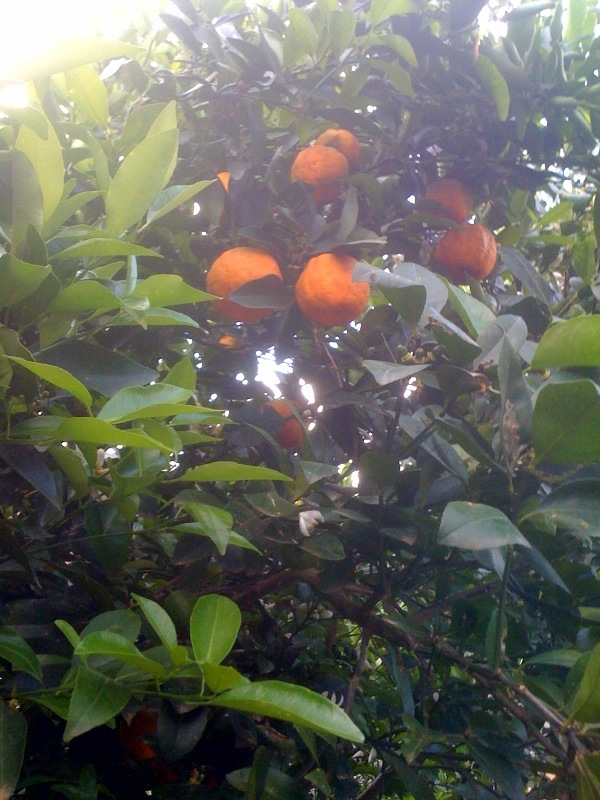 Winter 2011- produces a very heavy crop but afterward slooked very tiered. I tip prunes and ferilised with Blood and bone. It has recovered and looks very healthy again but didn't flower. I think its taking a rest. I used some of the last fruit and made marmalade with the last of the passonfruit. I'm going to get me one of these! I can only grow in pots so this looks ideal! 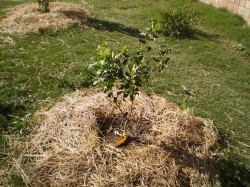 Planted May 2011 as part of citrus hedge along fence line. Picture taken 3rd Feb 2012. Emporer is plant second from the right. Hi John, would love to see your citrus hedge now. Any chance of a photo and some tips from what you have learnt? I am thinking of doing the same here in NNSW. Thank you! Hi Frenchie, I've let the yard slip a bit so don't have a pic to post. I think if I could redo my hedge I would change two things. 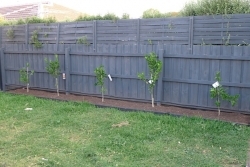 (1) I planted dwarf trees which are just too small for a hedge. 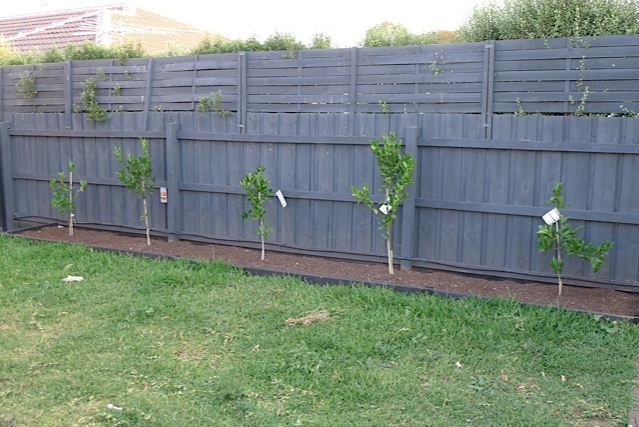 (2) I spaced the trees at about 1.5 metres and should have had them closer together. 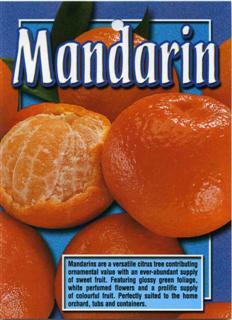 The other issue I have is that the mandarines are larger and fuller than the oranges and lemonade tree. Thanks so much for the feedback, it has really helped me because I was considering dwarf trees. I would have also done the spacing at 1.5 m so here your tips are going to be very handy! I hope that despite its shortcoming in shaping a hedge, your trees are rewarding you with tasty fruits! Thanks again for taking the time to answer! 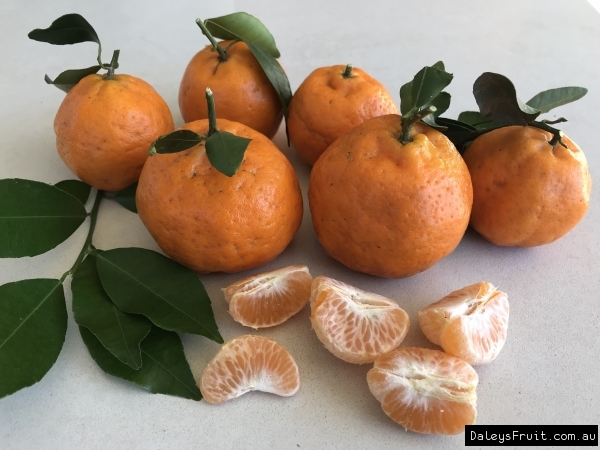 I think this is the one I have, Anyway it is a mandarine grafted onto dwarf rootstock. Heavy fruiting this season and last hoping this years will actually mature as last year (08) all fruit got blasted from the tree due to storms. 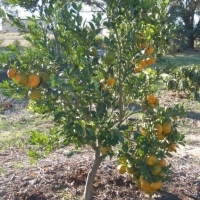 easy to grow, fertilize and prune like all the rest. I gave this Mandy some copper about a week ago as the leaves are curled and slightly yellowed in one area but think it may need something else like zinc or manganese - open to suggestions! 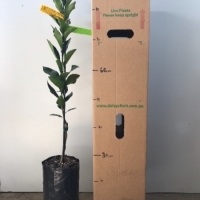 Comments: - Very nice looking tree, took of the first set of fruit to help it gain some strength, it has now just sprouted a heap of new buds that look like flowers and a few leaves so I will hopefully have fruit of it this year. Easy to care for, growing in a large 70cm pot that I dress with some well rotted manure about 3 times per year.